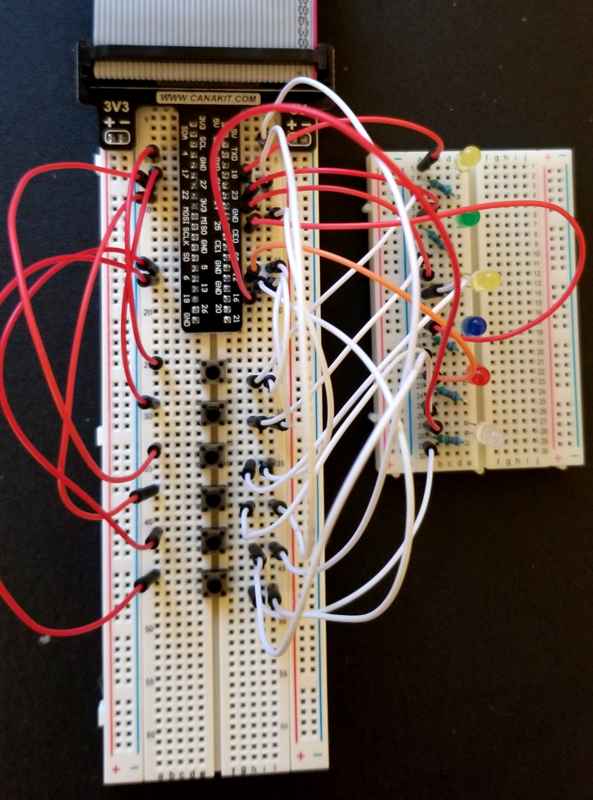 Edit: Breadboard, schematic, and code updated. I accidentally fried my Pi by shorting it out through the GPIO pins, so I figured it would be a good idea to ask for some help before trying my current breadboard layout with my new Pi. Essentially, I want to have these 6 buttons cause the LEDs to light up and for additional code to run when they're pressed. I guess what I'm wondering currently is: Does the breadboard layout look correct for this application, and does the code look correct? Can multiple LEDs and switches share the same Ground pin? Do I need to set up Ground pins in Python? 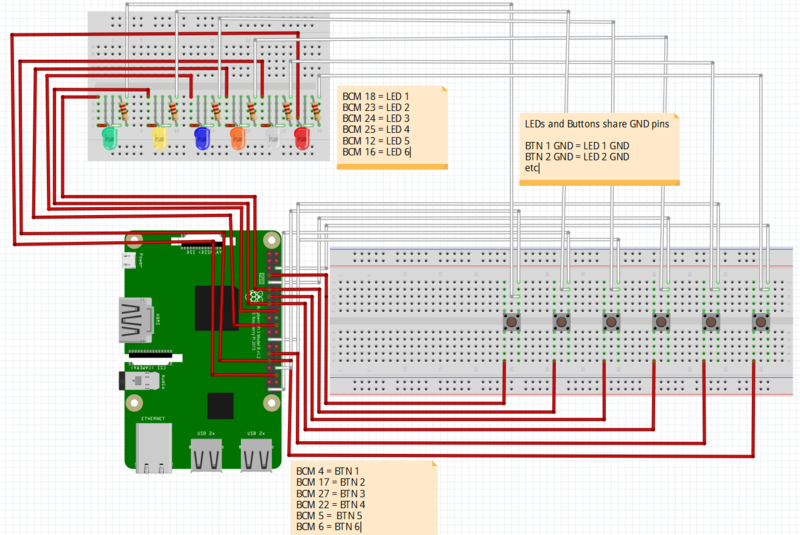 Browse other questions tagged gpio python rpi.gpio breadboard or ask your own question. Properly wiring a solid-state relay to the GPIO pins?